Leadership Alliance is an international consulting and training organization providing breakthrough strategies for growth and transformation for Fortune 100 clients. Industries served include Financial Services, Technology, Retail, Service, Hospitality, Educational and Non-Profit. Leadership Alliance was founded in the mid-1990s by Matthew Cross, a successful entrepreneurial businessman and educational visionary. The seed for the company started with the thought that most leaders operate with a “Lone Ranger” mindset, hence the name "Leadership Alliance." The Alliance is continuously exploring and integrating the latest tools, teachings and strategies for the restoration of enlightened leadership at all levels, with a focus on enhancing Predictive Intelligence (PQ)™. The Alliance functions within the paradigm that leaders working together can deliver higher quality, win-win results for all concerned—where the whole far exceeds the sum of its parts. We believe that one of the primary functions of enlightened leadership is to lead others—individuals and organizations—to more fully and successfully lead themselves. A major thrust of this effort is the research and promotion of proven quality and educational methods that support the brightest future for individuals, organizations and the planet. Mr. Cross brings over 20 years of professional experience in educational training, management and consulting to this endeavor. We provide Breakthrough Strategies for Growth & Transformation in service of our clients reaching their highest aspirations. • Delivering custom values-based, leading-edge trainings via accelerated learning methods and curricula. • Coaching clients to discover and confirm the right steps to take, in the right order, at the right time. • The Deming Quality System for the continuous improvement and transformation of individuals, teams and organizations. • The integration of the art and science of quality, strategy, innovation into cutting-edge Predictive Intelligence Systems. 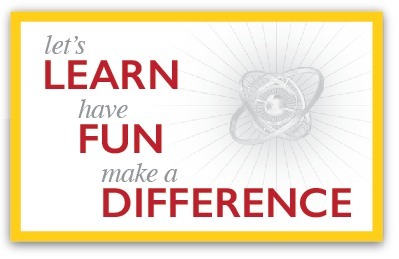 • A fundamental commitment to Learning, Having Fun and Making A Difference (Dr. W. Edwards Deming). America’s Leading Priority Strategist, Matthew is an acclaimed thought leader, speaker, Deming Scholar and Hoshin Kanri strategic alignment specialist. He has authored eight books to date, including The Hoshin Success Compass™, The Golden Ratio Lifestyle Diet™ and The Millionaire's MAP™. Matthew’s mission includes supporting people and organizations to best plan, execute, achieve and learn. He champions the genius and potential within everyone, lifestyle quality and design and making a difference. 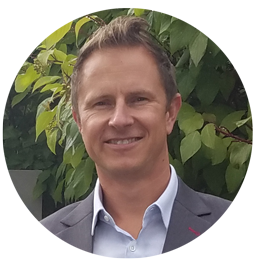 He deploys over two decades of professional experience in educational and performance training in leading the Alliance. 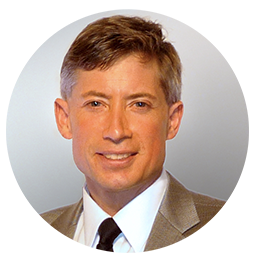 Matthew is also founding partner of the Leading Edge Performance Institute, delivering proven executive training programs and eLearning solutions. LEPI integrates and delivers the keys to sustainable peak performance: Strategic Life/Work Prioritization, Vibrant Total Health, Mindfulness, Resilience and Stress Solutions. 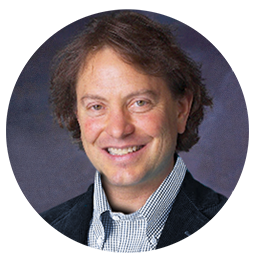 Matthew’s passions include learning, maximum health and longevity, competitive running, ancient history, all arts and sciences and Peak Performance On Demand™. Samuel is an inspired problem solver and entrepreneur. He is formally educated in International Business, is self-taught in Information Technology and is a master Network Science trainer. His work in these worlds, as well as his experience in solving unique and complex problems in diverse industries, makes him a valuable asset for big-picture thinking and strategic planning. Sam is a fast learner and a highly adaptable self-starter who works well with teams to create successful outcomes. Nathan is admitted to practice law in California, England, and Wales. He has lived and worked on three continents and represents clients in America and internationally. 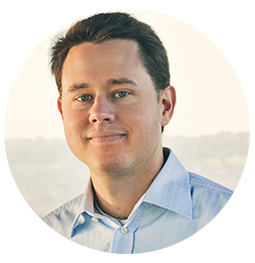 In addition to expert legal counsel, Nathan provides unique business development acumen to the Alliance. He often works from remote locations, such as while visiting clients or on special research missions throughout the USA and offshore. He studied law in the United States (Drake University Law School in Des Moines, Iowa), Germany (University of Augsburg Law School), Austria (University of Vienna Law School), Budapest and Prague (via Loyola University College of Law) and England (University of Oxford and Oxford Brookes University). Dr. Friedman practiced nutritional and preventive medicine in Santa Fe, New Mexico for twenty-five years before turning his attention and research to the application of the Golden Ratio to health, peak performance and longevity. In addition to providing the Alliance with cutting-edge medical, health and performance counsel, Dr.Friedman co-authored with Matthew Cross The Divine Code of Da Vinci, Fibonacci, Einstein & YOU, a 660 page tour-de-force on the Golden Ratio, which allows anyone to access this Universal Success, Performance and Health Code and apply it in their chosen field. That book’s success inspired three other Golden Ratio-based books: The Genius Activation Quote Book, The Golden Ratio Lifestyle Diet and The Golden Ratio & Fibonacci Sequence, an engaging and richly illustrated 62-page “portal” to understanding and utilizing the Golden Ratio..
Tom is founder and lead art director of 618 Design, a leading-edge independent design firm with a special focus on the integration of the Golden Ratio into its projects. His collaboration with the Alliance includes optimal information presentation and cognition support, through his unique mastery of information technology and graphic design. 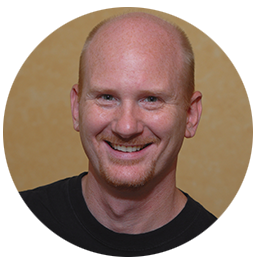 With over 25 years of print and web design experience, Tom and his team manage the custom design and production of books, websites, catalogs and various other collateral materials for a broad range of clients. When not at his desk, Tom, a proud father of two, volunteers his spare time training, networking and supporting the care and adoption of abandoned animals. A dynamic learning and training organization founded by Fortune 100 strategist Matthew Cross, providing breakthrough strategies for growth and transformation. 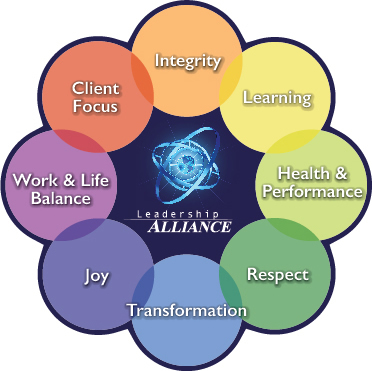 The Alliance integrates the proven, practical principles and tools of world-renowned visionaries including Dr. W. Edwards Deming, Peter Senge, David Bohm, Albert Einstein, A.S. Neill, Robert Friedman, M.D. and many others. The Alliance is also a corps of leading-edge professionals from many disciplines, united in the common aim of personal and professional growth and transformation. What makes Leadership Alliance unique? The Alliance provides original, proprietary performance strategies and proven tools for personal and professional growth and transformation, not available anywhere else. • 100% of the Alliance’s business originates from client referral. We teach the art & science of loyalty, the most powerful predictor of growth & profitability for your business. • Learning is the prime strategic advantage for individuals, teams and organizations. The Alliance designs and deploys leading-edge trainings and modules which integrate Optimal Learning Methodologies. • We offer a collaborative consulting model, beyond the standard, prescriptive approach. The Alliance approach greatly enhances total results achieved, improves team/organizational culture and maximizes the brain trust and loyalty of team members. How does the Alliance operate? • An open discovery consultation. • If further interaction after the discovery consultation is mutually desired, the best strategy and interaction options are explored during a subsequent meeting. • A concise proposal and scope for engagement is then prepared by the Alliance and presented for your review. • The engagement proposal is reviewed and mutually customized/finalized as necessary. • The selected engagement/project begins. Ongoing interaction usually consists of a combination of on-site, telephone and virtual. The Alliance also offers a variety of customized, exclusive Leadership Alliance Retreats™, public seminars, video-based eLearning solutions and ongoing training programs. What industries does the Alliance serve? The Alliance works with all industries, including financial services, technology, healthcare, education, retail, manufacturing, logistics and transportation. The principles, strategies and tools the Alliance deploys are both universally applicable and specifically customizable and scalable to your industry/company. What does Leadership Alliance mean? Most Leaders operate with a “Lone Ranger” mindset. We believe that one of the primary functions of enlightened leadership is to lead others—individuals and organizations—to more fully and successfully lead themselves. The Alliance is continuously exploring and integrating the latest tools, teachings and strategies for the restoration of enlightened leadership at all levels, with a focus on enhancing Predictive Intelligence (PQ)™. The Alliance functions within the paradigm that leaders working together can deliver higher quality, win-win results for all concerned—where the whole far exceeds the sum of its parts. Where does the Alliance operate? The Alliance works with clients onsite and virtually throughout the world. We work collaboratively in a way that is most convenient and powerful for you and your organization. At the corporate level, Alliance members are deployed in person onsite as necessary. On the 1:1 level, interaction proceeds in the optimal way for each unique client. What is the investment required to work with the Alliance? Investment for custom consulting services is based on the type, value and length of your specific needs and goals. We strive for the optimal win/win alliance with all of our clients. We are happy to offer investment ranges for our services. Please contact us at [email protected] for more details. Explore this continuously updated site. You are also welcome to e-mail us at [email protected] or call us with your questions. We look forward to exploring the unlimited possibilities of a leadership alliance with you and/or your organization. What you focus on up-front determines your success. It really comes down to what you focus on, and all the rest just falls into place. Matthew Cross’ Hoshin Success Compass masterfully reveals and aligns your up-front success drivers, setting the stage for greater achievement in any pursuit. The odds of surviving the pace of the global investment banking environment have improved significantly, thanks to the Leadership Alliance’s trainings and the Hoshin Success Compass. I was lucky enough to work with co-author Matthew Cross on The Divine Code of Da Vinci, Fibonacci Einstein & YOU and The Golden Ratio Lifestyle Diet. Having the Hoshin Success Compass as the project’s strategic guiding light was what catapulted our joint ventures to ultimate success. The Hoshin Success Compass: truly amazing at setting your inner compass in the direction of personal success. An unparalleled contemplative process of great force. Clearly reveals the higher order in any situation, awakens inner wisdom and provides a real plan to achieve your dreams. [The Hoshin Success Compass is] a most powerful process towards helping you solve the mystery of who you are, where you’re going and how to get there. The Hoshin Success Compass provides excellent power with a great punch. Provides an actual roadmap for success; leaves no doubt where your personal focus needs to be to achieve your dreams. The Hoshin Success Compass is a superior tool for processing out any confusion or ‘stuck-ness’ surrounding important life issues and decisions. A great way to discover your true top priorities and appropriate best actions. Matthew Cross and Leadership Alliance: THE master coaching resource we turn to at Strategies. Your Hoshin Success Compass presentation was the most exciting, useful and fun event at the entire conference. Marshall Thurber ~ Master Entrepreneur and student/colleague of Buckminster Fuller and Dr. Deming; Key Mentor to Anthony Robbins (Personal Power), Jack Canfield & Mark Victor Hansen (Chicken Soup for the Soul) and Robert Kiyosaki (Rich Dad, Poor Dad). The Hoshin Success Compass: Clear, concise, inspiring; life changing. Matthew’s a great speaker and provides wonderful information. Leadership Alliance and The Hoshin Success Compass played a vital role in our becoming the #1 most-improved Sears store in America for quality customer service – We literally went from Worst to First, winning first-ever Chairman’s Awards for Passion for the Customer and Best Sales & Profit-to-Plan in the process. You helped me and my team of 300 prove the link between quality customer service and greater profits. I highly recommend your quality work to all organizations and people seeking greater success. Peter Davis ~ Former Senior Management Executive; Sears, Roebuck & Co. Leadership Alliance delivers vital strategies and tools for personal and professional success. Their work enhances creativity, effectiveness and leadership—and inspires tremendous self-esteem. Our teams of teachers greatly benefited from the Hoshin Success Compass workshop, principles and experience you provided for them. The teachers’ work on curriculum [throughout the year] had a strength of purpose that I attribute to your work with us, and I was better able to not let people or situations side-track my resolve to keep our strategic project moving ahead. Most of all, I appreciate the way in which you helped us surface and articulate our school’s goals and vision. With your guidance we were able to foster greater clarity, alignment and collaboration among our faculty. Thank you. Matthew Cross’ Hoshin Success Compass: a most elegant system for greater life clarity and happiness. Our lives contain the pattern of our true destiny. The Hoshin Success Compass elegantly reveals this pattern and provides the keys for living our destiny. Original, provocative and stimulating. [Your Hoshin Success Compass training offers] a valuable integration of Dr. Deming’s theories into a process for achieving greater clarity and focus. You lead an inviting, enjoyable presentation, with many excellent examples. At once excellent quality, great fun, and very, very, useful. Matthew Cross presents the Hoshin Success Compass seminar with a rare level of focused energy, enthusiasm, and clarity. Highly recommended for anyone seeking a quantum leap in life. Your introduction of the Hoshin strategic planning process was a major event in our journey of Total Quality in Education. It afforded us many crucial insights about ourselves and our individual perceptions about our organization—the invisible, yet very real key learnings that are essential in making lasting change and setting in place systems for continuous improvement. I strongly recommend your expert training and guidance to all organizations, educational and otherwise. Through the Hoshin Success compass I learned how to use what I know to get where I want to go. Fun, fascinating, and indescribably useful. The Hoshin Success Compass clearly shows how correctly aligned small steps and actions can lead to big results. Thank you very much for your excellent work with us. Your insightful wisdom and trainings will have a lasting, positive impact on both our business and personal lives. Thank you again for providing the stimulus and expertise to successfully launch our V.I.P. VisaCard program. We enthusiastically endorse your training systems and experienced an immediate 25% increase in productivity, directly resulting from your excellent program. Your original Greenpeace Gift Collection concept added significant revenue to our bottom-line – and increased memberships. Thank you for your inspiration, concept navigation, and a job very well done. Bravo!